1. Jailbreak. If you haven't upgraded to the latest, jailbreak-breaking iOS 4.0.2 on your iPhone, or 3.2.2 on your iPad, then jailbreaking with jailbreakme.com is still easy as pie. Just visit the site on your iPhone or iPad and follow the simple steps. There's no jailbreak available for iPhone 4's running 4.0.2 yet, but one's bound to pop up sooner or later. 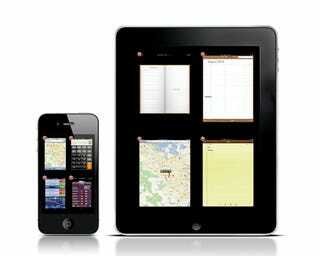 How does Multifl0w incorporate with Apple's multitasking on iOS4? This was a difficult problem to solve, because there are so many different possible solutions. So what's the answer? Provide as many different customization options as possible so that it's easy for everyone to have the backgrounding style they want. Multifl0w used in conjunction with Backgrounder should be able to provide you with the options that suite your preferences. Using Multifl0w without Backgrounder on iOS4 will function like Apple's switcher, apps stay "open" in memory (although not actually running). Using Multifl0w without Backgrounder on 3.1.x is not advised, because apps will be closed as soon as they are exited. However, Multifl0w does not force Backgrounder to be installed on any OS version for maximum flexibility. Can I use both Multifl0w and Apple's switcher together? Yes, you can. Just set Multifl0w's activation method to something other than Double-Press Home, and you will still be able to use both together.